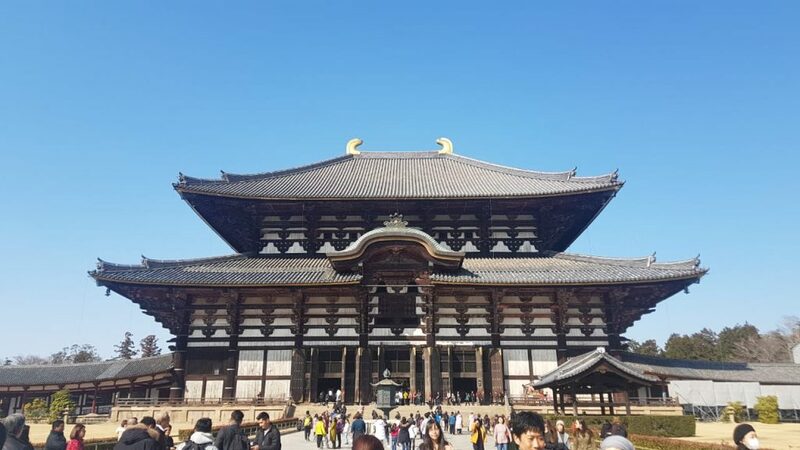 If you’re looking for a short day trip to Nara from Kyoto or Osaka, then you’re in the right post. Nara is one of the oldest towns in Japan, and it has retained most of its charm. It allows you to walk leisurely and is a short train ride away from Kyoto, so if you’re in Kyoto for a third day, definitely consider exploring this charming little town. This entire itinerary can be completed within 3-4 hours, excluding the travel time. Getting from Nara to Kyoto is a one hour trip by train. All you have to do is take the train from Kyoto station to JR Nara station, using your Japan Rail(JR) Pass. Like I said in my earlier posts, a JR pass is definitely worth having if you’re planning to do any intercity travel in Japan. 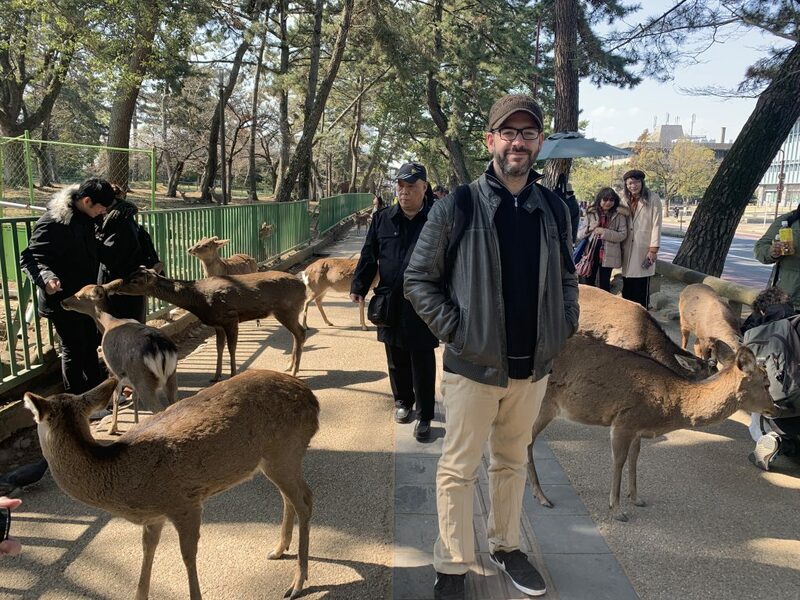 As soon as you walk out of the Nara station, you’ll see a charming town abuzz with activity with freely roaming deer. 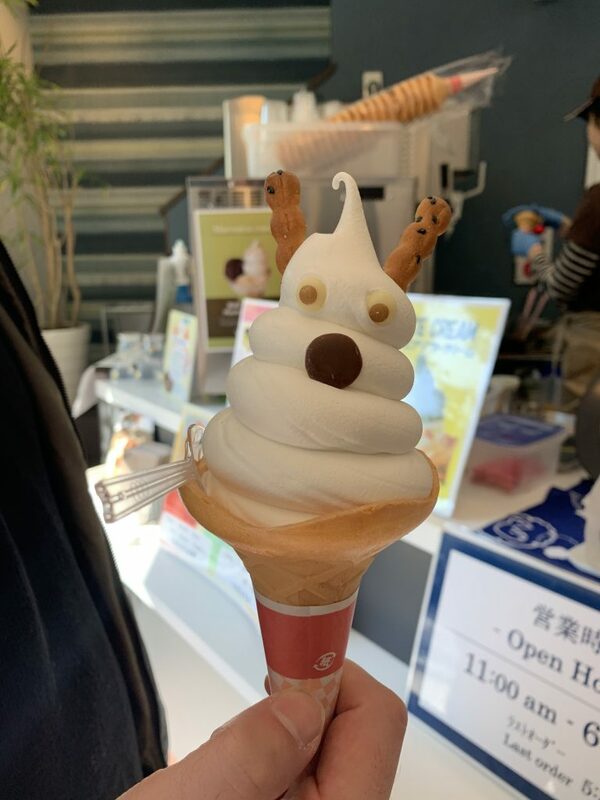 Get into a cafe and enjoy some lovely ice cream or mochi to fuel your walk. The deer at Nara roam around freely, so make sure you’re not holding out any food or water near them. They are not shy! Exercise caution at all times and don’t feed them human food. Instead, opt to buy deer crackers from a vendor close by so you can feed them. You may pet them, but I’ve noticed they don’t seem to enjoy that. Use your best judgement. 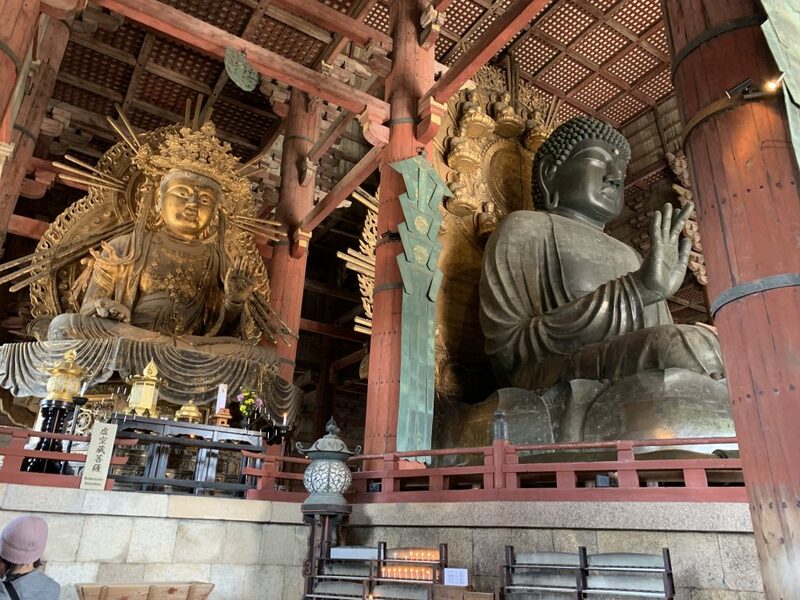 There are numerous shrines you can walk to, but if you’ve had it with visiting shrines in Japan and want to visit just one on your short day trip to Nara, then Todaiji is the one. You will need to pay an entrance fee here. Besides this, they have free guides at the entrance who can tell you more about the history of the temple. The Buddha inside is truly gorgeous and gigantic. There is also a saint idol at the entrance that is supposed to help cure all sicknesses and maladies. Just touch the statue and rub the part of your body that has an affliction and they say you will be cured. 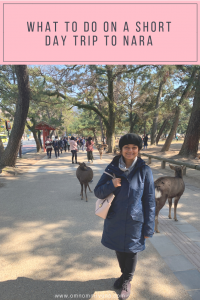 Hope you enjoyed my itinerary on a short day trip to Nara. You can choose to go back to Kyoto from here, or just carry on to Osaka! Japan is such a gem! The more I read about this marvelous country, the more time I think I’ll need to allocate to my trip! I’ve never even heard of Nara before!